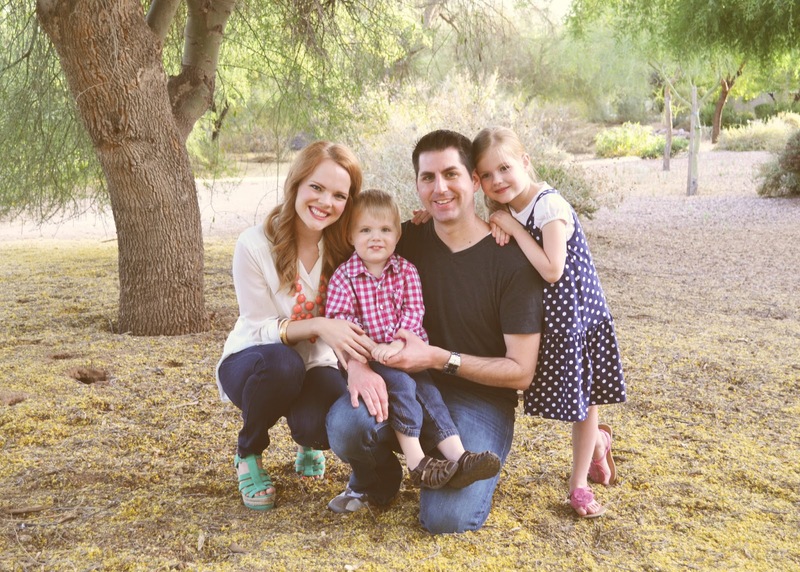 Mom, the Intern: 6 Things You Could Know About Me (if you read this post). 6 Things You Could Know About Me (if you read this post). A few days ago, my fantastically funny and wise friend Katie tagged me in a rousing blog game of "6 Things You Should Know About Me." Basically, the game consists of me writing about myself (what's new?) and you reading it and going, "Wow, this girl has some issues." And if you're tagged, you get to play, too! Let's see how this pans out. I would be lying if I said I didn't hope to be married with children at some point in my life, and I feel so very fortunate that my desire has been realized. What I didn't imagine was scoring such a handsome, considerate and hard-working husband, earning a college degree, buying a home and creating surprisingly decent-looking kids ... all by age 23. (That's what we folks call a "humble brag.") Then again, I did think I would also be a high school choir director by now. Seeing how I'm only 26, it's definitely still a future possibility. For the record, I don't think anyone's life turns out exactly as they imagine it will. But since I'm the Control Freak of the Century, I'm glad that so far, mine has been remarkably close to what I'd hoped for. I probably just jinxed myself. 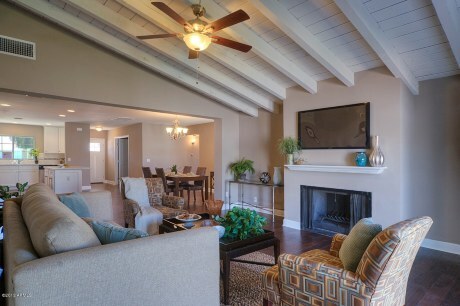 A beautiful mid-century home, remodeled to the hilt with modern amenities, in the Arcadia area of east Phoenix. As it is, we are considering selling our home and moving that way for Dill's job. I failed to mention he received a promotion last week (yay!) which requires him to work longer, less-convenient hours, and that means we don't see him as much as we'd like. But homes out there are pricey. So, we'll see. I still can't help but browse for those darling homes on Realtor.com every day of my life. I MEAN, REALLY ... ! Click here to see the full listing. Anyone want to donate? 3. What's your drink of choice when out with girlfriends? Hmm. Uh ... how can I make this answer as unboring as possible for you guys? I don't drink alcohol and I don't like soda, so ... I usually have a fancy glass of ice water with a lemon in it when I'm out on the town. I guess I had a chocolate malt when I hit up Sonic with my sisters and mom last weekend. Does that count? 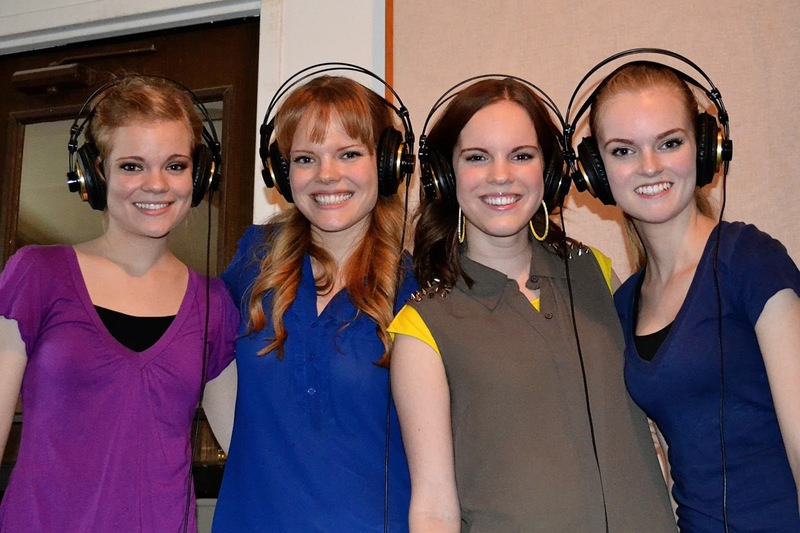 My sissies and I "laid down some tracks" last night at my uncle's recording studio. We're legit. I love that I can hear a song once or twice and then immediately replicate it on the piano in the correct key, tempo, everything. This is especially fun at parties and family gatherings where a piano is present. Also useful when I'm playing the piano in church and my sheet music suddenly blows away with the air conditioning. I'm very musical, and I do love that about myself. Even if it means I'll be playing the organ in church for the rest of my life. 5. Name one good deed you did that went unseen. I'm pretty sure my kids see none of the good deeds I do. Haha, just kidding. Self-deprecating mom jokes are always fun, right? But really ... if I tell you of the good deed I did, then it isn't exactly "unseen" anymore, is it? Buuuuut -- in the spirit of this super-fun 6 Things game, I'll just say I often pick up other people's trash and throw it away for them. Less altruism, more obsessive compulsion, but still a nice thing to do. Right? 6. What hobbies do you have that you don't mention on your blog? I joke about my terrible crafting and cooking skillz all the time here, but you may have guessed that I do in fact enjoy partaking in those activities. Also, I like doing creepy things like watching the entire Jodi Arias trial and researching what morticians actually do at their day-to-day jobs. Oh, and watching "My Fair Wedding with David Tutera" on Netflix. Because hello, "Weddings. I love weddings. Drinks (ice water with lemon) all around!" Name that movie. Kate P, Andrea, Kymber and Ali. And anyone else who wants to play, of course! That house is DARLING. I would have never guessed how open it is based on the outside. And on a street with a name like Mulberry?! Cuteness overload. Srsly. Also, I feel super cool that's you went and tagged me. Again, I say srsly. RIGHT?! It's basically the best house ever. That is awesome about the piano! My older brother can do that and I am always jealous :) Oh and it's Pirates of the Caribbean...right? P.S. Your family is beautiful! CORRECT! And thanks so much! I love you!! As I read these I was like "me too! ME TOO!" Haha, I wanted to blog about it so many times but then thought, "I bet people will wonder if I'm mentally deranged for watching this." Based on your jinx on number one, I predict that you will have some unattractive twins next that will be a handful. Just kidding! I don't think ugly kids are a possibility with you and Dill's DNA. Twins will kill me! No matter how cute they are! woooohooo! I love that you joined in! Ok my responses....I love that your life has turned out a lot like you imagined (I think mine didn't because I was not imagining a very open minded life and needed to be put in my place), GET THE HOUSE (the encanto and arcadia areas of phoenix....i die), I'm seriously impressed by your ability to play by ear, and I will also have the organ calling for the rest of my life. Amen. I can't believe you're THAT good at the piano. I had no idea. Wow, that's some serious talent.